Belle & Wissell and Lockwood & Sons partnered to create Oxbow, a place for cross-disciplinary experiments located in Georgetown. 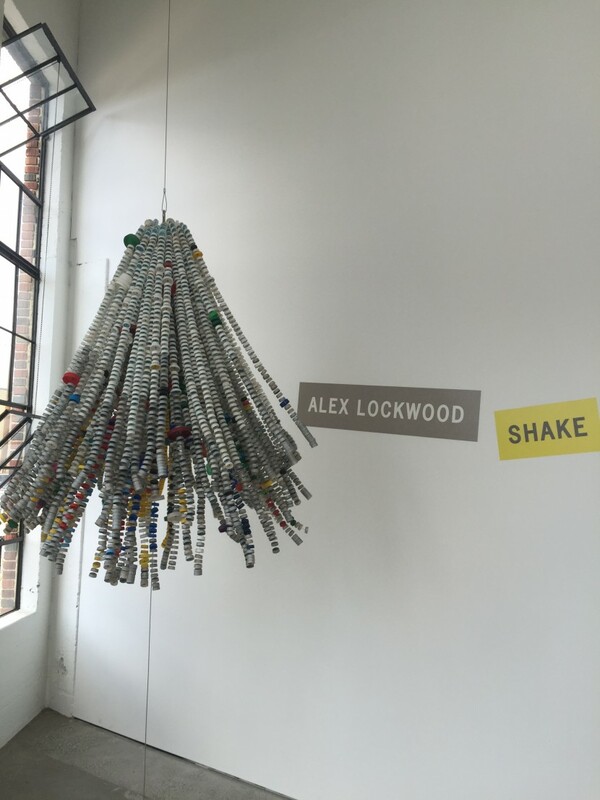 SHAKE, a series by artist Alex Lockwood, was on exhibit in Oxbow’s new art installation space from June–September of this year. The series highlights Lockwood’s meditation-through-repetition art making approach and allows for true interaction with the pieces. The artist’s use of commonplace materials—bottle caps, plastic lighters, discarded lottery tickets—revitalizes and transforms them into organic, often mobile, works of art. 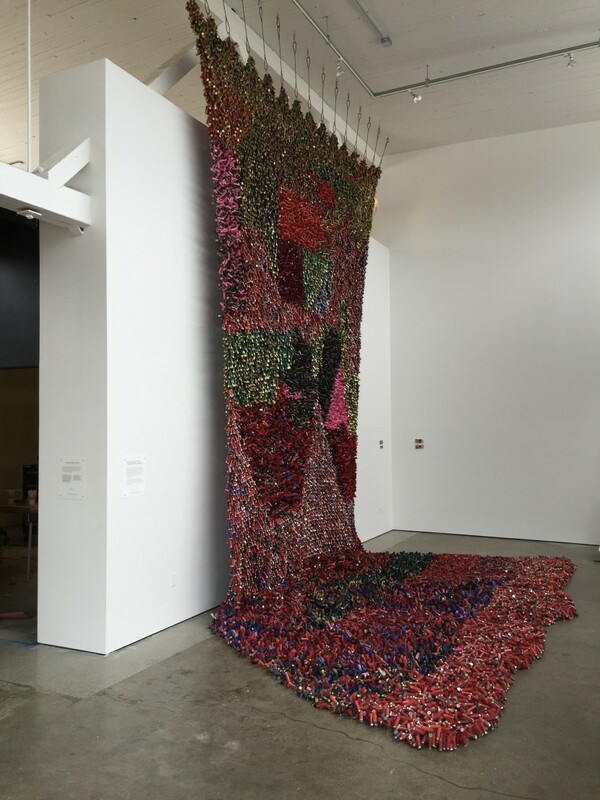 The Shotgun Shell Tapestry is approximately 30′ tall, and took Lockwood over four months to assemble. 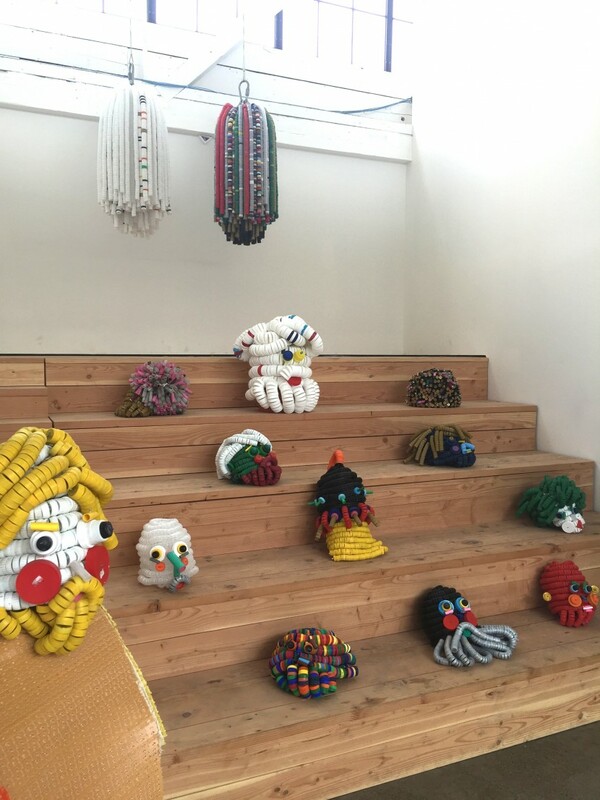 SHAKE included functional masks for visitors to try on. Oxbow recently hosted a process presentation and closing celebration of SHAKE. With the ongoing renovation of the space, art installations will be presented at regular intervals. Check back for updates on upcoming events and exhibits. 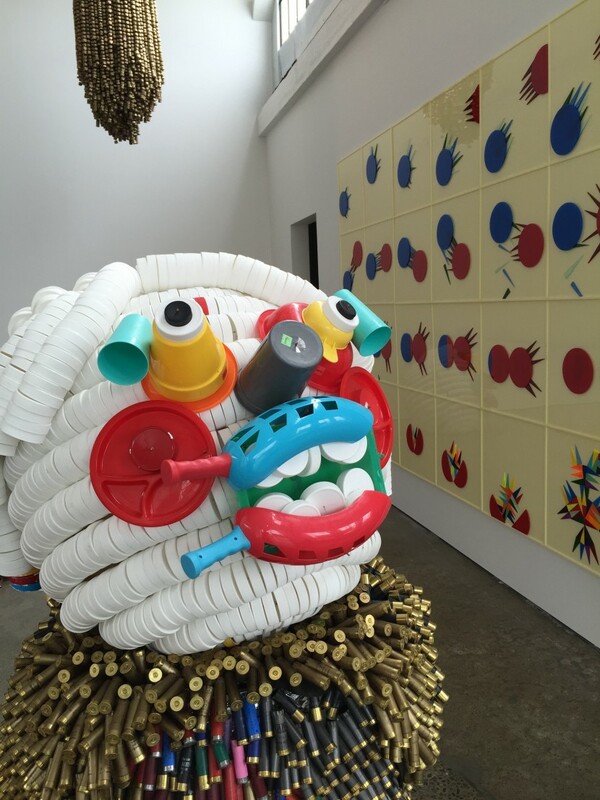 Lockwood encourages gallery-goers to physically interact with his large-scale, mobile sculptures. Oxbow is a collaboration between Belle & Wissell and design-build company Lockwood & Sons. Click here for more information on the project.